Dylan Vidovich/Logan Banner Logan County Commission President Danny Godby watches as eight-year-old Brielle Lyons, a cast member from TAS' recent production of Disney's "Frozen Jr," performs a song from the show. Dylan Vidovich/Logan Banner Diana O'Briant, President of The Aracoma Story, Inc, on Tuesday asked the members of the Logan County Commission to once again support the theatre company. LOGAN - Keeping in line with the amount from last year, the Logan County Commission Tuesday voted to give $20,000 to local theater company The Aracoma Story Inc.
Before the funds were pledged, TAS President Diana O'Briant addressed the commissioners and asked them to "dig deep in (their) hearts and pockets" and thanked them for their past contributions. The commissioners were then given a short performance of "Do You Want to Build a Snowman?" from Disney's hit musical "Frozen" by 8-year-old Brielle Lyons, who portrayed the role of young Anna in the company's recent production of the junior version of the show. Accompanying O'Briant and Lyons at the meeting was one of the show's co-directors, Bill France. Commission President Danny Godby was quick to comment following Lyons' brief performance. "I'm amazed at the talent that has been shown at these productions," Godby said. "Brielle you're just amazing, and we're going to watch you in the movies someday because I think that's your calling right now." "And to Mrs. O'Briant," Godby added, "I go to probably two or three productions a year and not only do you have sellout crowds, but through her efforts and everyone involved, (TAS) brings a lot of tourism into our county." Godby concluded his remarks by telling O'Briant to "just holler" at the commission whenever TAS needs any help. In other money requests from Tuesday's meeting, the commission pledged $250 to the WV Elite 14 and Under girls travel softball team, $250 to the Southern Elite Boosters regarding Southern Elite All Stars, $10,000 to the Buffalo Creek Watershed's annual Children's Fish Day, $2,450 to the Huff Creek Watershed Association's annual Youth Fish Day, $1,000 to the Buffalo Creek Memorial Library's Man on the Move and Kids on the Move campaigns (to be paid $500 for each), $4,500 to Senior Bluegrass Night, and $250 to Boy Scouts Troop 217. 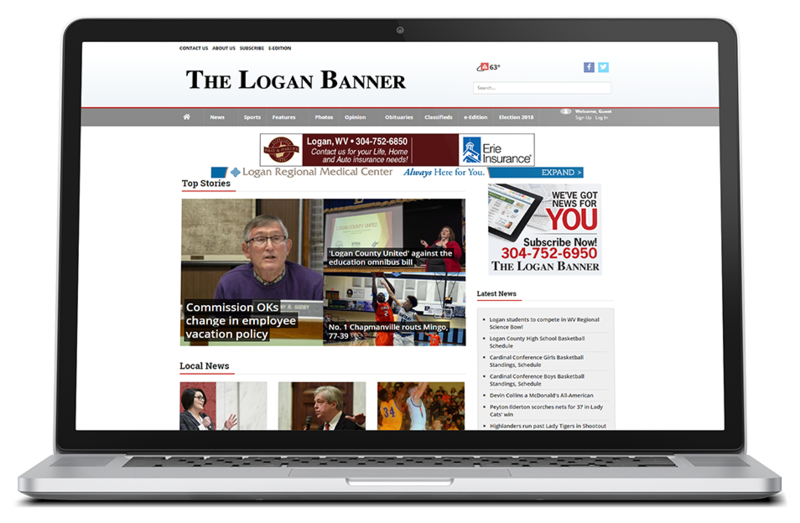 The next regularly-scheduled meeting of the Logan County Commission will be held at 3 p.m. Monday, April 22, in room 103 of the Logan County Courthouse.